All-in-all the weather for the Independence Day wasn't too bad. Sure it was cool, but when it mattered (the evenings) most of the area still was able to celebrate the country's birthday. Summer has been feeling under the weather for a few days with her temperature over 100°. We talked to the emergency physician Monday and there is a viral infection affecting kids throats. Her fever started breaking some overnight and if not then it looks like we will need to visit the doctor. Despite being told that no antibiotics will help. Trying to get her to settle down enough to sleep has been a challenge, but she needs the rest because she is in such a better mood after resting. 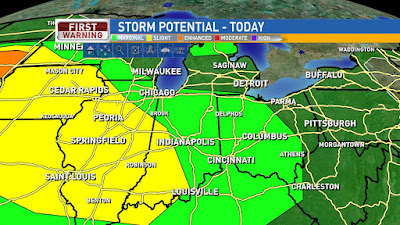 Central Ohio is in the Marginal Risk for severe storms this afternoon and evening. Here is the WRF forecast model for 1PM today. 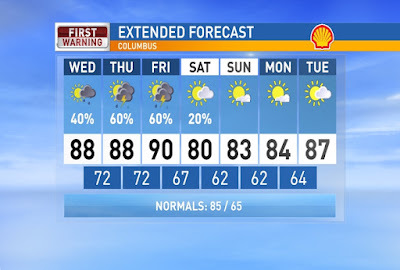 Heat and humidity sticking around through the rest of the workweek along with the chance for scattered showers and storms, mainly in the afternoon and evenings. 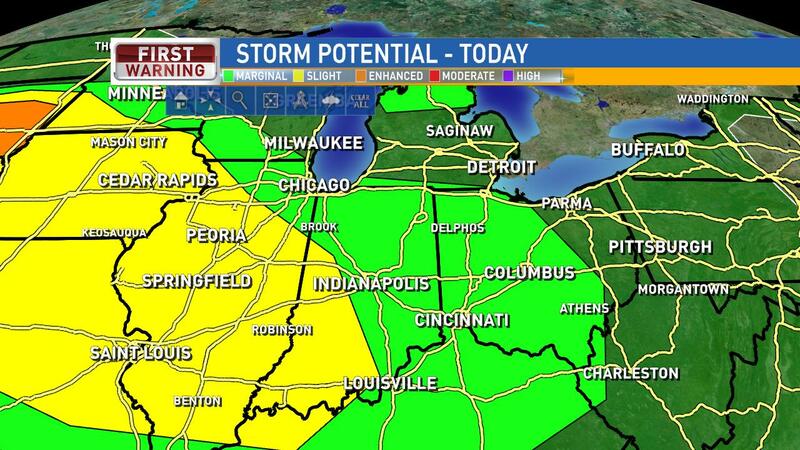 We will be in the Marginal Risk for severe storms the next couple of days with gusty winds possible. 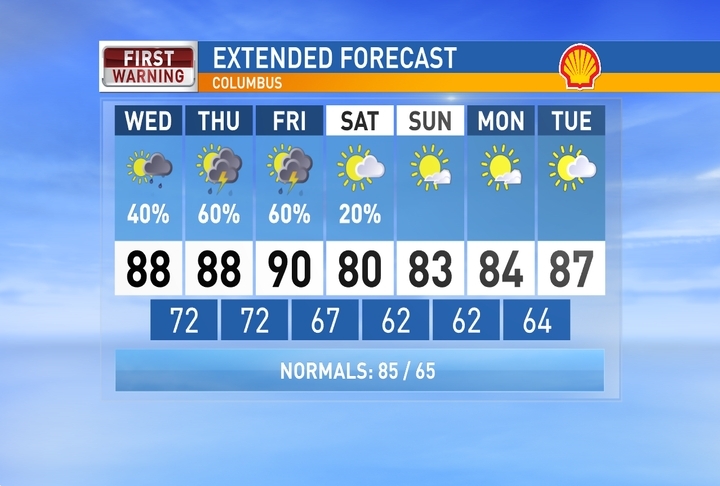 Highs near 90 through Friday and heat index in the mid 90s. Best chance of rain will be Friday PM with a cold front that will cool us off for the weekend and more sun on the way for Saturday and Sunday as well. Have a good one!